Have your vehicle repaired on serviced in Thornbury with the least fuss and hassle. You don’t even have to leave the house if you don’t want to. We will come to your chosen location when you want us to be there and take care of everything on the spot. 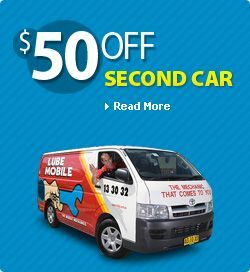 Lubemobile mechanics are Australia’s #1 mobile mechanic fleet servicing vehicles in all locations including Elwood, Kensington and Fitzroy. When your car needs to be worked on, book the mechanic who will get the job done on time, wherever you want them to carry out the work. Lubemobile mechanics have serviced over 1,072 vehicles in your area alone over the last 3 months, and while our most popular vehicle service in your area is typically Log book servicing, your mobile professional mechanic is able to complete a range of vehicles work including greasing wheel hub bearings , fuel pump replacement. Our specialist tyre fleet will even carry out jobs like on site tyre replacement. Nothing more...I am very satisfied with the work and I will be using your services again. Huge Thanks to George ( Van N56) for all the effort and time he put into what was a painful and time consuming job. He went about and beyond the level of service and out of his way. His an awsome mechanic and will definitely use hi him again when next if Melbourne if needed! I can't Thank him enough for getting me back on the road safely. Our mechanics have typically serviced Toyota, Holden and Ford in and around your area but all mechanics are experienced and prepared for any vehicle. Servicing and repairing all vehicle makes and models on site, recent jobs in and around your local region have been to attend vehicles like Mercedes, Kia and Peugeot. Parts required for the job are with the mechanic or sourced quickly from only the highest quality providers. Typical parts carried by the mechanic have included spares like wheel bearing, shock absorber and fan. If you own a Mitsubishi or Suzuki, or whatever you are currently driving, you can rely on a completely mobile mechanic available at the time that suits you best to carry out industry leading repairs and service work to your vehicle wherever you need us to be. 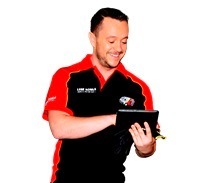 Happy clients have already given us over 28 positive reviews right across Australia. Find out how convenient repairs and service work can be with one of the 51 mobile mechanic available in Melbourne Metro where and when you need them with Lubemobile.